Join the ranks of soldiers in the American Army or the German Wehrmacht. Fight online with your friends and against your foes. Fight to become a war hero or rise through the ranks to command the armies of nations. Every man's actions has consequences for the outcome of the war. Sounds good and looks good. Looking forward to it. exemple ? freedom fighter, hitman... what else? Jesper Kyd? Super awesome. I listen to the Freedom Fighters Soundtrack frequently, awesome music. Loving this song! Fits perfectly for the game (Epicness(lol apparently this isn't a word))! I know why he is doing the soundtrack, they (some of the guys on Reto-Moto) are from IO Interactive, which used him (Jesper Kyd) as a composer a lot. I was disgraced, when I had found out the new Hitman game wasn't going to have a soundtrack by Jesper. Seeing how hes making the soundtrack for this game, makes it all the better. 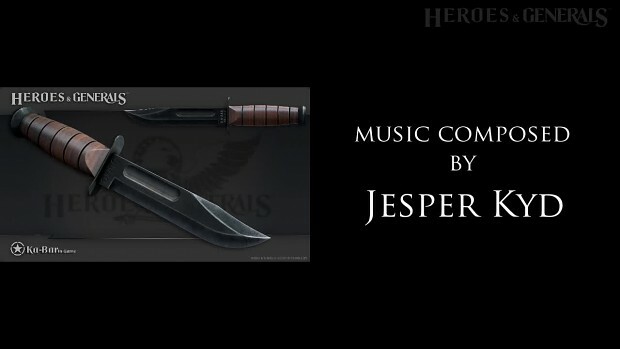 "Heroes & Generals Jesper Kyd Soundtrack Teaser"
Award-winning composer of Assassin’s Creed® and Hitman® series hooks up with Reto-Moto to score studio’s upcoming combined online FPS and Strategy game, Heroes & Generals. Sign up for an alpha-key at Heroesandgenerals.com and help us make the game YOU want to play.